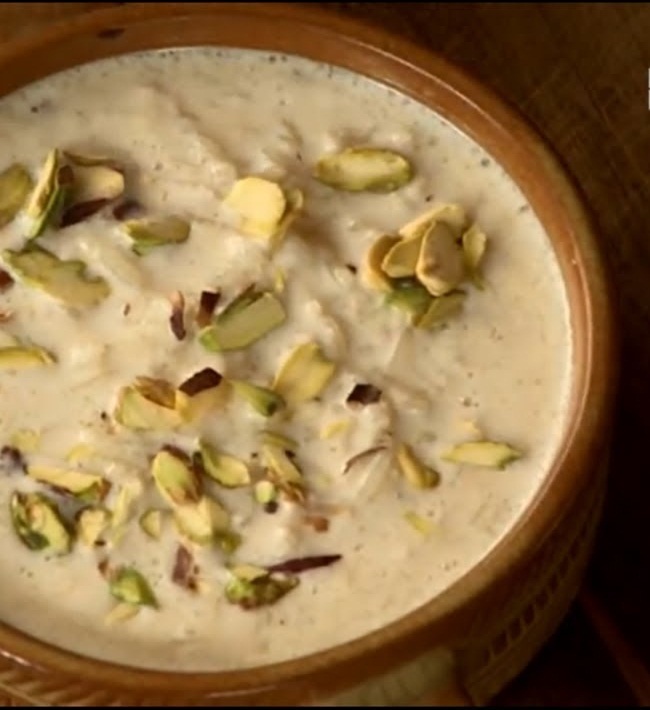 Doodhpak: Doodhpak is a semi-thick rice pudding made from milk, rice, saffron and nuts, accompanied by pooris. The milk is simmered for a while; then the rice is added and simmered till cooked. As the rice is cooked completely in the milk, it imbibes a luxurious flavour and aroma. Doodhpak is a traditional Gujarati sweet recipe. Soak the rice in water for about 10 minutes. Dissolve the saffron strands in 1 tbsp of warm milk. Add the ghee to the rice. Bring the remaining milk to a boil in a non-stick pan, on low heat. Stirring occasionally, simmer the milk for about 15 minutes. Add in the soaked and drained rice. Stirring occasionally, simmer the milk-rice mixture for approximately 25 minutes. Add in the sugar, green cardamom powder and saffron-milk mixture. Cook on a medium flame for 15 minutes or till the sugar is completely dissolved. Doodhpak is ready to be served. Serve warm doodhpak, garnished with chopped almonds and pistachios. If you have any queries regarding the Doodhpak recipe, please leave a comment.